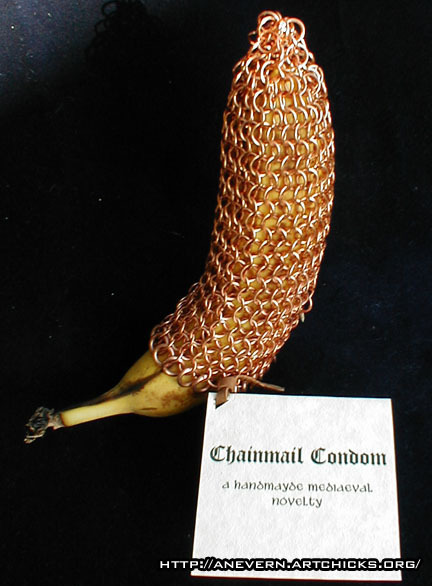 Here's a novel gift idea... the chain-mail condom. Just in case your are completely insane it comes (so to speak) with the warning: "his is strictly a novelty item, and is NOT intended to be worn or used like a normal condom! It will not prevent pregnancy or the transmission of STDs, and will most likely cause injury to one or both parties involved." My question would be, what would the message be, if you gave this to your significant other?